To earn and spend points, simply scan your Wonder App or swipe your Wonder Card at any point of purchase in-store. 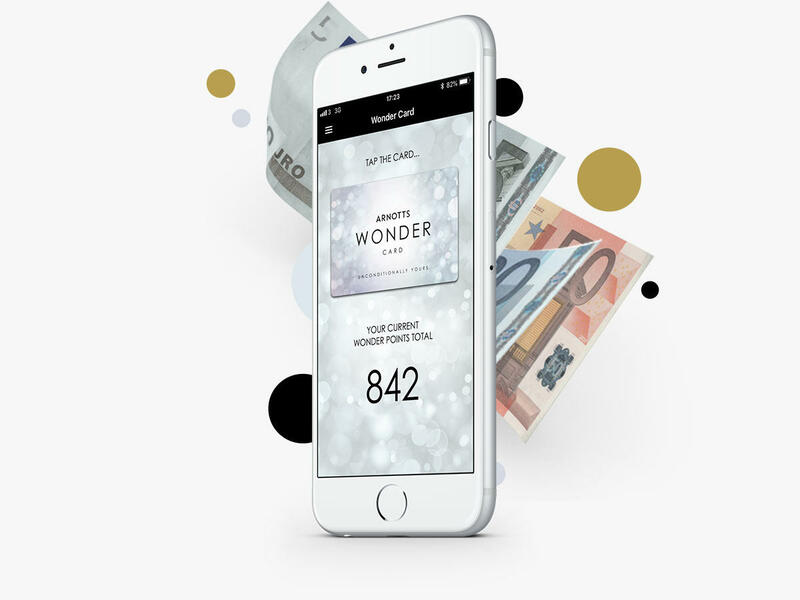 Log in to your account on Arnotts.ie and add your Wonder Card to automatically earn points as you shop online. Let your points build up or spend them straight away. Either way you can redeem your Wonder Points at checkout, at any time; in-store and online. Please note: Wonder points may take up to 24 hours to be applied to your account after each transaction. Already a Wonder Card holder? Add your existing Wonder Card to your online account or check your Wonder Points Balance in a few simple steps here. As a Happy Birthday bonus, you earn triple Wonder Points during your birthday week, including three days before, three days after and the day of your birthday. That’s seven days of guilt-free shopping at Arnotts. 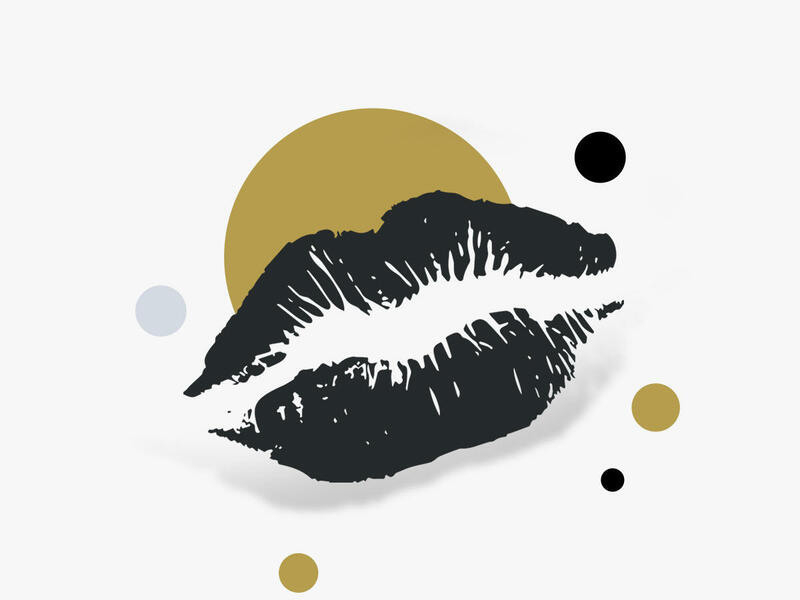 We know how important your beauty regime is, so we’re giving you double Wonder Points for every euro you spend in the Arnotts Beauty Hall and on beauty online. Download the Wonder Card App from the iTunes or Google Play Store for you digital Wonder Card. You can earn and spend points at any time as well as track your Wonder Points balance on your smartphone. Earn and spend Wonder Points in-store and online while we are in promotion or sale. That's even more savings for you when you use your Wonder Card. 1.1 The promoter of the Programme is Arnotts Limited (“Arnotts” or “we”) of 12 Henry Street, Dublin 1. Except as indicated in these Terms, the Programme applies equally to Transactions (as defined below) carried out with Arnotts, subject to these Terms. 1.2 The Wonder Card is the property of Arnotts and it must be promptly returned to Arnotts or destroyed if so requested by Arnotts. 1.3 In the event that a Wonder Card is damaged, lost or stolen, Arnotts may, at its discretion, provide a replacement Wonder Card. Replacement Wonder Cards can be obtained in Arnotts (“In-store”) and registered either In-store or Online. Arnotts does not accept any liability for lost, stolen or damaged Wonder Cards. 1.4 The Wonder Card is not a credit, payment or cheque guarantee card. 1.6 Members may redeem Points as outlined in Section 2.5 below subject to all applicable laws and regulations and subject also to income tax and other taxes which shall be the sole liability and responsibility of the Member. Arnotts does not accept any liability for Points (as defined below) accrued on or redeemed from the Wonder Card without the Member’s knowledge. 1.7 To become a Member of the Programme an applicant must become a registered account holder by creating an account and completing a hard copy registration form and submitting it to Arnotts In-store or an online registration form (the “Registration Form”) on the Arnotts website, or via the App available for Apple iOS or Android operating systems on Google Play or Apple App Store (not all Android devices may be supported). Once the Account is created and validated by Arnotts the Wonder Card Account becomes active (“Account”). 1.8 A notification email of the successful and completed account information will be sent to Members upon [registration] [the Account becoming active]. 1.9 The Member is obliged to notify Arnotts in writing of any change in the Member’s address or other Member details. Member addresses can be updated online or via our Wonder Card Help Desk on (01) 805 0455. 1.10 Arnotts may, at its discretion, suspend, alter, amend or terminate the Programme at any time on giving reasonable notice to the Members, which notice may be given online, on the App, through email communication to the Members or by displaying notices In-store. 1.11 Arnotts reserves the right to decline, issue or withdraw the Wonder Card at any time without prior notice to the Members. Members may be removed from the Programme at any time at the discretion of Arnotts. 1.12 All Members must be at least 18-years-old on the date of creation of his/her Account. 1.13 The Arnotts Wonder Card loyalty scheme is only available to customers with a billing address within the island of Ireland. Unfortunately, if a billing address is entered which is outside of Ireland, the earning and burning of Wonder Points is not possible. 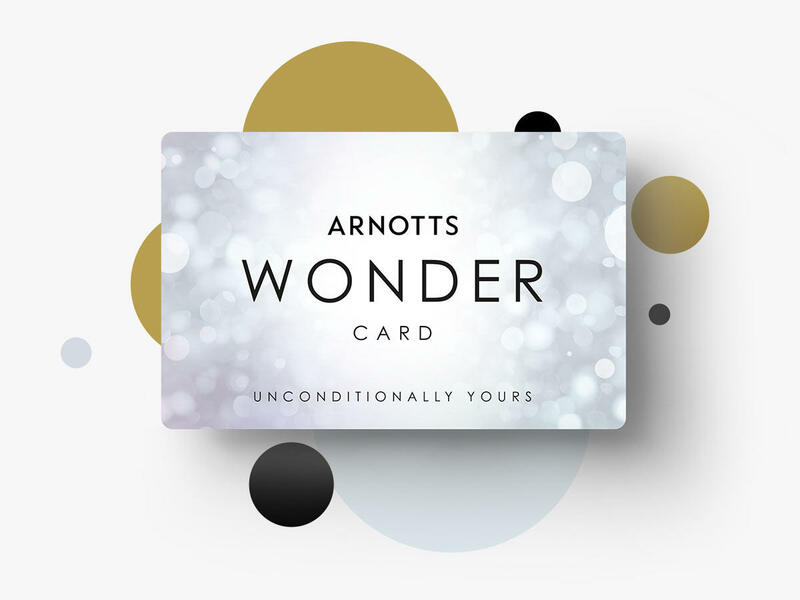 1.14 Arnotts staff, retired staff and concession staff (“Staff”) may participate in this Programme, but are not eligible to redeem Points against Wonder Card-related competitions or games, or against Member-only product offers. 1.15 Membership of the Programme is personal to the Member. Each Member is responsible for the proper use and security of his/her Wonder Card and his/her Points. Where Member has been given (or where Member has chosen) a password which enables Member to access certain parts of www.arnotts.ie, Member is responsible for keeping this password confidential. A Member cannot share or transfer his/her Points. 2.1 Members can collect Points by making Transactions Online at www.arnotts.ie and In-store, subject to the rules set out below. 2.2 Members earn two (2) Points for every one (1) Euro spent in the Beauty Department (this does not relate to Staff purchases), and one (1) Point for every one (1) Euro spent in all other Departments. 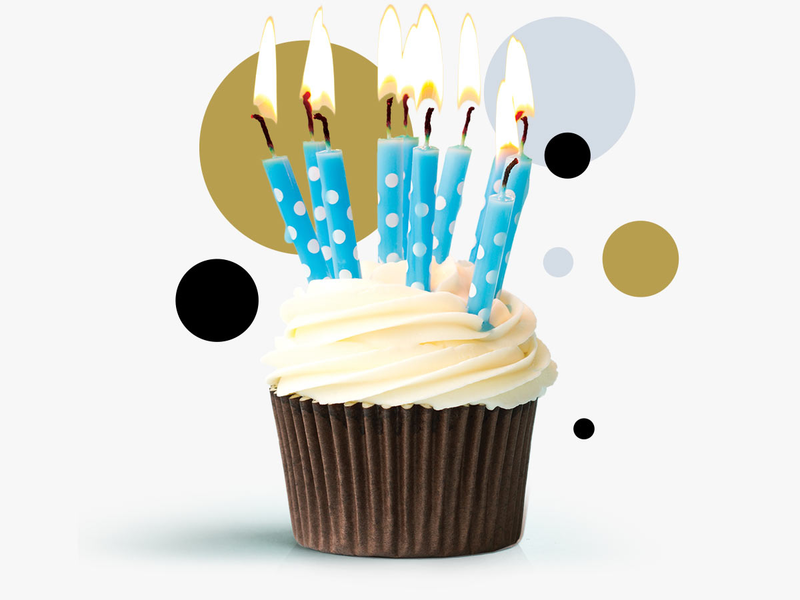 From time to time Arnotts may award increased points against specific products, brands or departments, or for other promotional purposes; for example, customer birthdays, either In-store or Online or both, at Arnotts’ sole discretion. 2.3 Points can be earned by Members: 1) on purchases In-store and Online at www.arnotts.ie; 2) by redemption of Gift Cards; 3) on purchases during [Sale, in Warehouse Sale/s]; 4) on furniture orders upon confirmation of delivery by Arnotts. 2.4 Points cannot be earned by Members: 1) on the purchase of Gift Card/s; 2) on delivery charges; 3) on In-store parking; 4) on In-store gratuities; 5) on In-store alterations; 6) on purchases of wedding gifts; 7) on Points redeemed; 8) on payment against balances due on the Arnotts Card; 9) on any other item not listed in Section 2.3 above. 2.5 Members can only redeem Points In-store or Online on the App. 2.6 Points cannot be exchanged or redeemed for cash at any time. 2.7 Points cannot be redeemed against: 1) Arnotts Card payments; 2) Purchase of Gift Cards. 2.8 Arnotts has the right at its sole discretion to determine from time to time which products and services qualify for Points and the number of Points that will be credited for a Transaction. 2.9 Points have no monetary value and cannot be sold, transferred or otherwise dealt with except in accordance with these Terms. Arnotts Card Customers. 2.10 Arnotts Cardholders who also hold a Wonder Card Account will hold a dual purpose card and this Arnotts Card will be treated as a Wonder Card for purposes of the Programme. 2.11 Arnotts Cardholders do not have to pay with their Arnotts Card to earn or redeem Points. 2.12 On closure or termination of an Arnotts Card account, the Arnotts Cardholder may request for any outstanding Points to be transferred to a new Wonder Card account. 2.13 An Arnotts Card can only be linked to one Account regardless of the number of cardholders linked to the Arnotts Card. Points can be earned and redeemed in respect of such Account by all cardholders linked to the Arnotts Card. Arnotts shall not be liable to the Account holder if Points are redeemed by another cardholder linked to the Arnotts Card and the Account holder is responsible for any such redemption. 2.14 On the return of an item that earned Points, the number of Points earned on the original Transaction shall be deducted from the Member’s Account. The deduction will occur when (i) a refund is completed In-store in accordance with Arnotts’ returns and refund policies, or (ii) if the return is an item purchased online, when the returned item is processed by Arnotts and the customer’s refund is completed in accordance with Arnotts’ returns and refund policies. 2.15 If the Points earned on a Transaction have been redeemed by the Member at the time of the return of that item, the Account will show a decrease in an amount commensurate to the value of the returned item. 2.16 Where the Account value is zero and Points earned on the Transaction have been redeemed by the Member at the time of the return of that item, the Account will show a negative balance, and the balance will only return to nil once the appropriate Points have been accumulated on the Account. 2.17 If a Member has redeemed Points towards the payment (full or part payment) of an item that is subsequently returned in accordance with Arnotts returns policy these Points will be credited back on to the Account at the time of the completion of the return of the item. 2.17 If a product acquired through the redemption of Points is damaged or defective in any way, Arnotts defective product policy will apply if the Member chooses not to accept a replacement product, Arnotts will credit the Account for the number of Points redeemed. 2.18 Points expire if unused within 18 months after the date they were earned and the Points accumulated on an Account will be reduced accordingly on a rolling 18 month basis. 2.19 Members will receive a statement of account (“Statement”), on the first day of each Calendar Month by email. The Statement will contain notice of the number of Points on the Account. 2.20 Members will have six months from the date that the Programme is terminated or six months from the date the Member is removed from the Programme to redeem Points after which the Points are forfeited. 2.21 Points cannot be transferred between Accounts or donated towards social causes. For the avoidance of doubt, replacement of a lost or stolen Wonder Card (see Section 1.3) does not result in the creation of a new Account for the Member and the new Wonder Card number will be linked to the Member’s existing Account. 2.22 If a Member is not in possession of his/her physical Wonder Card or Phone (if he or she registered through the App) available at time of the Transaction In-store, the Member can use the ‘Look Up’ facility at the Till (by verifying his or her phone number registered on the Member’s Account) at the In-store till to validate the Member’s Account and register Points onto his or her Account. 2.23 Where the ‘Look Up’ facility described in Section 2.22 above is not used, relevant Points can be added retrospectively to his or her Account up to 28 days after the date of Transaction but not thereafter. 2.24 Awarding of retrospective Points is subject to the presentation of a valid receipt at any till In-store. Once the operator of the In-store till (the “Operator”) has confirmed that Points have not been awarded previously, retrospective Points will be uploaded to the Account. 2.25 A valid receipt will be stamped/signed at the till by the Operator as proof that the Points have been awarded to the Account (in accordance with the Arnotts Business Control Policy). 2.26 An award of retrospective Points can only be requested by Member In-store. For the avoidance of doubt, retrospective Points cannot be claimed via phone or Online. 2.27 In the event that a broadband failure is experienced In-store, Arnotts will automatically add Points retrospectively (subject to the terms above). 3.3 Arnotts can also use information relating to sets or groups of Members, without identifying Members, to enhance its understanding of Member behaviour and enable Arnotts to improve its service in general. 3.4 A Member can 'opt out' of such marketing communications at any time, free of charge, if he/she does not want to be contacted by Arnotts for direct marketing purposes, by ticking the appropriate box on the Registration Form or App, by contacting the Arnotts Help Desk on (01) 805 0455. 3.5 A Member has the right to request his/her data currently held by Arnotts. Member may also have the right to rectify, block or erase his or her personal data to the extent that it is inaccurate. Subject to applicable law, Arnotts will provide Member with a copy of his/her personal data as soon as practicable. There may be a charge for such a request (which will not be higher than an amount permitted by applicable law, currently €6.35). Arnotts may also request proof of identification to verify Member’s access request. Any queries in relation to personal data should be sent in writing to: The Loyalty Manager, Arnotts Ltd., 12 Henry Street, Dublin 1. If Member’s personal data held by Arnotts is inaccurate, Member should inform Arnotts in writing and Arnotts will make the necessary amendments, erase or block the relevant personal data as requested by Member and notify Member within 40 days of such request that the relevant action has been taken. All such requests should be addressed to: The Loyalty Manager, Arnotts Ltd., 12 Henry Street, Dublin 1. 3.7 Arnotts may disclose Members’ personal data if it sells or buys any business or assets, in which case Arnotts may disclose personal data to the prospective seller or buyer of such business or assets. If Arnotts or all or some of its assets are acquired by a third party, Members’ personal data may be one of the transferred assets. Such disclosure or transfer will not alter a Member’s rights in respect of the use that can be made of personal data by the successor or acquiring company. 3.8 Arnotts may assign and transfer all of its rights and obligations under these Terms without your consent. You may not assign your rights under these Terms without Arnott’s prior written consent. 3.9 By either signing the hard copy registration form, registering online through the Registration Form or the sign-up screen on the App, Member agrees to abide by the Terms and this Data Protection Notice. The “Application” shall mean the software provided by Arnotts Limited (“Arnotts”) to offer services related to the Arnotts Wonder Card (including, but not limited to, services relating to concessions on Arnotts premises), to be used on Apple iOS and Android OS devices and any upgrades from time to time and any other software or documentation which enables the use of the Application. The Application will be used for the following reasons: to sign up to and register an account with the Arnotts Wonder Card programme; to communicate with Wonder Card account users directly by email and SMS (please note, default settings are set for you to receive email and SMS communications from Arnotts Ltd. in relation to the Arnotts Wonder Card programme. If you wish to opt out of this communication, please update your subscription settings in the User Account screen); to view information about Arnotts Department Store; to check your Wonder Points balance; to collect Points at time of purchase; and to redeem available Points balance at time of purchase. 5.1 All competitions, sweepstakes and giveaways as part of the Arnotts Wonder app are sponsored by Arnotts Ltd. No competitions, sweepstakes or giveaways are sponsored by Apple, nor are Apple involved in any way. 6.1. All trademarks, patents, copyright, database rights and other intellectual property rights of any nature in the Application together with the underlying software code are owned either directly by Arnotts or by Arnotts’ licensors. 6.2. Arnotts hereby grants you a non-exclusive, royalty-free, revocable, non-transferable, non-sublicenseable licence to use the Application for your business and personal use in accordance with these appterms. Arnotts does not grant you any other rights in relation to the Application. All other rights are expressly reserved by Arnotts. 7.1. You will not, nor allow third parties on your behalf to (i) make and distribute copies of the Application (ii) attempt to copy, adapt, edit, change, transform, publish, republish, reproduce, alter, modify, reverse engineer, disassemble, decompile, transfer, exchange or translate the Application; or (iii) create derivative works of the Application of any kind whatsoever. 7.2. The Application is currently made available to you without payment for your personal, non-commercial use. Arnotts reserves the right to amend or withdraw the Application, or charge for the Application or service provided to you in accordance with these appterms, at any time and for any reason. 7.3. You acknowledge that the terms of agreement with your respective mobile network provider (“Mobile Provider”) will continue to apply when using the Application. As a result, you may be charged by the Mobile Provider for access to network connection services for the duration of the connection while accessing the Application or any such third party charges as may arise. You accept responsibility for any such charges that arise. 7.4. If you are not the bill payer for the mobile telephone or handheld device being used to access the Application, you will be assumed to have received permission from the bill payer for using the Application. 8.1. The Application is available to handheld mobile devices running Apple and Android Operating Systems. You acknowledge the Application is provided over the internet and mobile networks and so the quality and availability of the Application may be affected by factors outside Arnotts’ reasonable control. 8.2. Arnotts and its sub-contractors do not accept any responsibility whatsoever for unavailability of the Application, or any difficulty or inability to download or access content or any other communication system failure which may result in the Application being unavailable. 8.3. Arnotts will not be responsible for any support or maintenance for the Application. 8.4 While we will make reasonable efforts to ensure the operation of the Application, we will not be liable for any failure of the operation of the Application, in part or full, for any cause that is beyond our reasonable control. This includes, in particular, any suspension of the Application resulting from maintenance and upgrades to our systems or the systems of any party used to operate the Application, outages on any phone network or in the case of mobile networks where you are not in an area of mobile coverage. 9.1. In order to use the Application, you are required to have a compatible mobile telephone or handheld device, internet access, and the necessary minimum specifications (“Software Requirements”). 9.2. The Software Requirements are as follows: Apple iOS devices running iOS 6 and all subsequent versions, updates and releases, and Android OS devices running Android OS 2.3 and all subsequent versions, updates and releases; Language: English. 10.1. Arnotts may terminate use of the Application at any time by giving notice of termination to you. In the event that Arnotts terminates your use of the Application, we will notify you via the Application or by email. 10.2. Upon any termination, (a) the rights and licenses granted to you herein shall terminate and revoke; (b) you must cease all use of the Application. 11.1. The downloading and/or use of the Application is at your own risk. Arnotts’ aggregate liability under these appterms shall not exceed the greater of (i) €10. To the fullest extent permitted by applicable law, in no event will Arnotts be liable, for any indirect, special, punitive, incidental, indirect, exemplary or consequential losses or damages of whatsoever kind arising from: (i) your use of, or your inability to use, the Application; (ii) the performance of any product purchased or redeemed through the Application; (iii) the conduct of other users of the Application and/or facilities or services offered through the Application, including loss of profit or loss of opportunity whether or not in the contemplation of the parties, whether based on breach of contract, tort (including negligence), product liability or otherwise, even if Arnotts has been advised of the possibility of such losses or damages. Arnotts will not charge for use of the application. The application will be free to download and use. 11.2. Arnotts is not liable to you for any damage or alteration to your equipment including but not limited to computer equipment, handheld device or mobile telephones as a result of the installation or use of the Application. 11.3. Nothing in these appterms shall exclude or limit Arnotts’ liability for death or personal injury caused by negligence or for fraud or fraudulent misrepresentation or any other liability which cannot be excluded or limited under applicable law. 12.1 To the fullest extent permitted by applicable law, the Application is available to all users “as is” without any representations or warranties of any kind and any implied representations, warranties, conditions or undertakings (whether implied by statute, trade use, course of dealing or otherwise) are hereby excluded. Arnotts does not warrant that the Application will be provided error-free, uninterrupted, secure or virus-free. To the fullest extent permitted by applicable law, Arnotts makes no representations, conditions, warranties or undertakings about any of the materials on the Application (including without limitation, their accuracy, their completeness or their merchantability, quality or fitness for any particular purpose) or any content of or information on any other website referred to or accessed by hyperlink or otherwise through the Application or from which this Application is referred to or accessed by hyperlink or otherwise. 12.2 The Application may also contain links to other websites, which are not operated by Arnotts. When you activate any of these you will leave the Application and we have no control over, and will accept no responsibility or liability in respect of, the material on any website which is not under our control. 12.3 You shall on demand indemnify, defend and hold harmless Arnotts, its agents, officers, directors, representatives and employees, from and against any and all losses, claims, liabilities, damages, costs and expenses, including legal fees, arising out of your use of the Application that is not in compliance with the appterms. 13.1 These appterms and all non-contractual obligations arising from or connected with them will be governed by and construed in accordance with the laws of Ireland and any dispute concerning use of the Application will be determined exclusively by the courts of Ireland. 14.1 We may amend these appterms at any time. If any of these appterms are invalid or unenforceable, the remainder of these appterms shall continue to have full force and effect. Your continued use of the Application following our amendment of these appterms signifies your agreement to any such amendment. In the event that Arnotts amends these appterms, we will notify you via the Application or by email. 14.2 We will not be responsible to you for any delay or failure to comply with our obligations under these appterms if the delay or failure arises from any cause beyond our reasonable control. 14.3 If you breach these appterms and we take no action we will still be entitled to use our rights and remedies in other situations where you are in breach.